A city within a city, Miami's exciting future rises to new heights with the rise of the Miami World Center. Encompassing 30 acres, this nine block development in the heart of Downtown Miami will bring a vibrant new energy to the magic city with exceptional retail, restaurants. entertainment, hotels, commercial, and upscale residential offerings. Macy's and Bloomingdale's have already signed on as anchor tenants. Mall developers Taubman Centers and the Forbes Company are at the helm with innovative, carefully planned urban spaces, a vibrant Grand Avenue, and stunning towers to further enhance the dazzling Miami skyline. Located directly west of Park West adjacent to I-395, the location is within steps of the Park West Condominium Towers, Metromover, Metrorail, American Airlines Arena, Miami Dade College, Adrienne Arsht Center, Museum Park, Bayfront Park, Bayside, and the future All Aboard Florida rail. 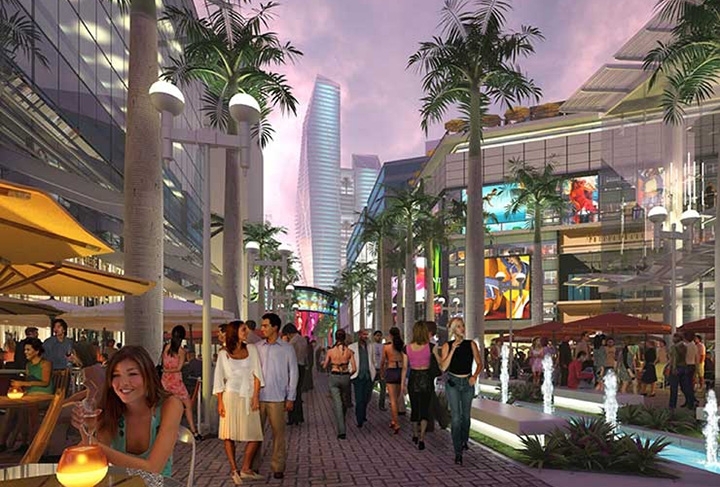 A condensed metropolitan playground, Miami World Center will bring new meaning to the vibrancy of city living. 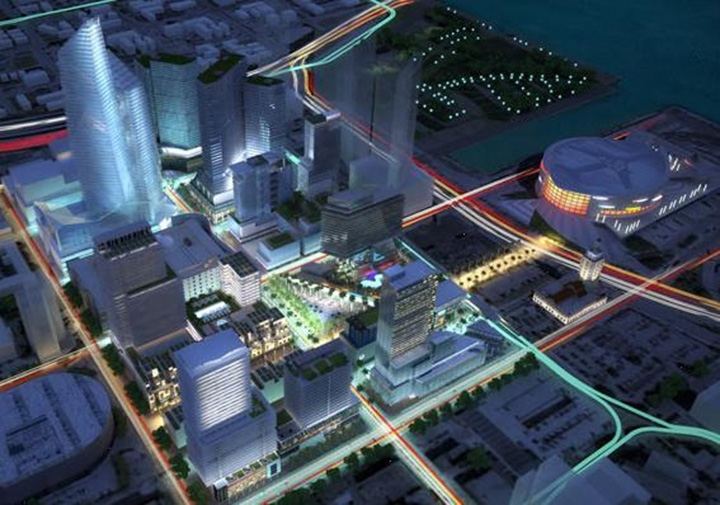 The 13.9 acre proposed Resorts World Miami at the Omni/Media Entertainment District Downtown Miami is considered one of the largest developments in Florida's history. 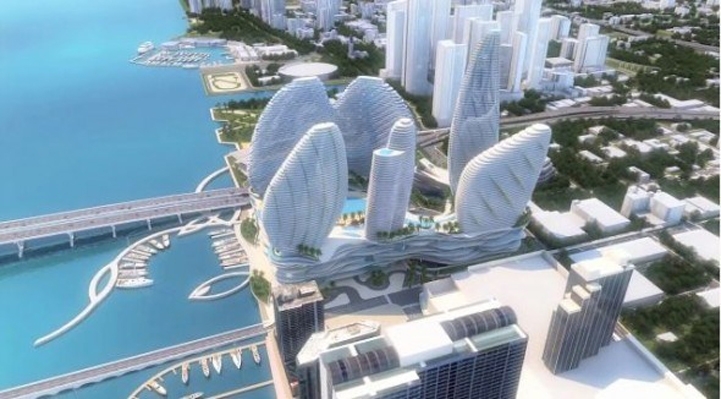 Developed by the Malaysian Genting Group, the resort will link to the three mile leisure and entertainment area BayWalk running from the Miami River to Margaret Pace Park connecting Bayfront Park, Museum Park, the Performing Arts Center, Bayside, Resorts World Miami, and the American Airlines Arena. At 10 million square feet with an estimated cost of over 3 billion, Resort World Miami's eight story podium and stylized skyscrapers, inspired by Florida's azure ocean waters and colorful coral reefs, will greatly enhance the Miami skyline. The lots include the waterfront sites of the Miami Herald and El Nuevo Herald, and the adjacent Omni International Mall. Resorts World Miami will contain bars and nightclubs, a luxury galleria with retail, entertainment, and convention space, one of the largest swimming pools in the world, hotel, two condominium towers with approximately 1000 units, and a proposed casino. Genting transformed the Bahama's Bimini Bay Resort into Resorts World Bimini last year and began a gambling boat service, the Bimini SuperFast, that shuttles between Miami and Bimini. They recently announced a sea plane service from Watson Island to Bimini. The master plan conceived by Developer Craig Robins to transform the creative Design District into a glamorous, high end luxury shopping and dining destination is already underway. In a massive undertaking within Miami's coveted neighborhood known for its interior design showrooms, fashion boutiques, art galleries, and celebrated restaurants, over 100 new retailers will open their gilded doors. Seven new restaurants will debut to compliment the already popular eateries that heighten the shop and dine appeal of the Design District. The vision of the revitalized Design District is reminiscent of an old European City to stroll, shop, grab a bite, and window shop the art galleries, New York's Soho, and LA's Melrose Street, with Miami's contemporary flair. Designers like Valentino, Tom Ford, Fendi, Dolce and Gabbana, Giorgio Armani, Van Cleef and Arpels will join the already opened Prada, Cartier, Celine, Hermes, Berluti, Emilio Pucci, Design Within Reach, and the numerous upscale home furnishings, design showrooms, and galleries. 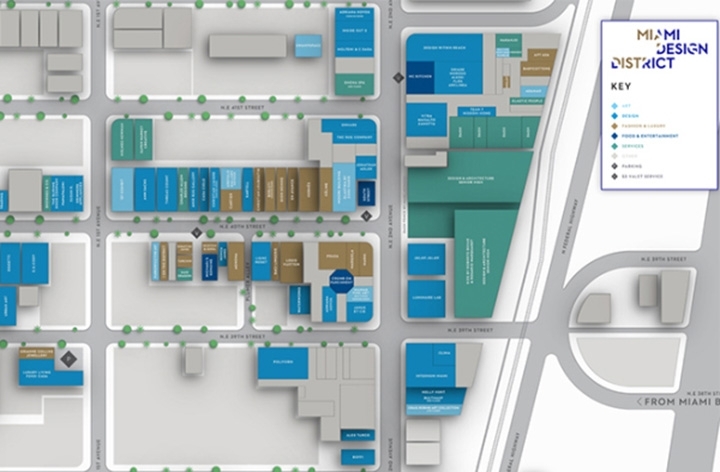 Plans to create linkage between the Design District and Midtown already underway. The prominent Argentine developer Alan Faena is partnering with esteemed architects, celebrated designers and Hollywood to create Faena Miami Beach. 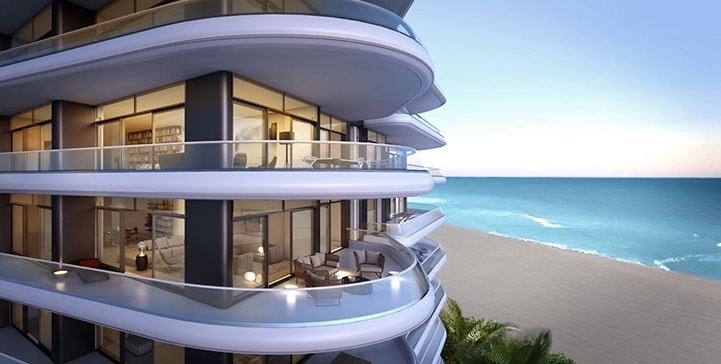 Reminiscent of the roaring 20's, the development includes the restoration of the historic Saxony Hotel into the Faena Saxony Hotel, a new 18 story oceanfront Faena House ultra luxury Condominium designed by Foster and Partners, and a Faena Arts Center and Artist residency. Baz Lurhmann and Catherine Martin, the directors and producers of the Great Gatsby and Moulin Rouge, together with Faena, will redesign the interior spaces of the Saxony Hotel reminiscent of the roaring 20's. Faena House, currently under construction, will feature glass walls to enhance the gorgeous ocean and city views, 47 luxury units including 3 Penthouses, and upscale amenities. The State of the Art Faena Arts Center and Artists in residency will be a driving force in the art world with a plaza, courtyard, art center, retail bazaar, and car park. Alan Faena recently purchased the 1928 Claridge Hotel. All Aboard Florida is a proposed higher-speed rail service which would operate along the Florida East Coast Railway. The proposed service would connect Miami with Orlando via a roughly 240-mile (390 km) route along the Atlantic coast north from Miami to Cocoa, where it would turn west towards Orlando. There is expected to be a Fort Lauderdale station just north of Broward Boulevard, as well as a Palm Beach station. Service is estimated to begin in 2018. The Miami to Orlando train into Orlando International Airport is expected to take 3 hours. The upcoming rail service, in addition to the Port of Miami Tunnel Project, is expected to relieve some of Miami's traffic congestion. The former 40 acre bay front Bicentennial Park Downtown Miami, now Museum Park, is in the midst of an extensive renovation. 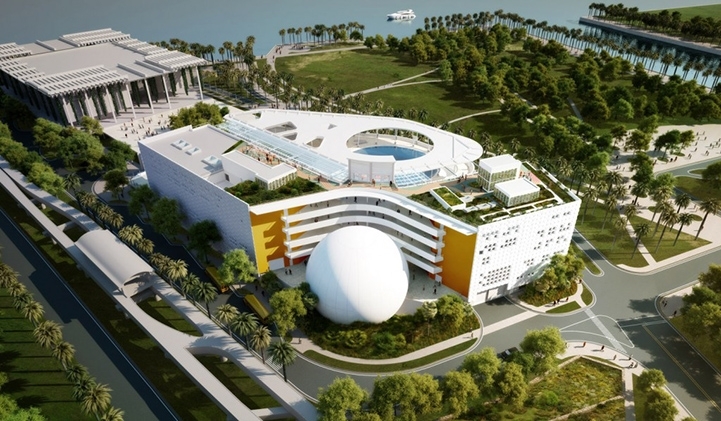 The Miami Science Museum, MiaSci, by Grimshaw Architects is currently under construction. The highly anticipated Perez Art Museum, PAMM, by Herzog and Meuron is open and receiving rave reviews. Pamm is a 200,000 square foot, stunning structure, with gorgeous views of the bay and downtown. It is home to international art and educational programs. The Science Museum will feature a state of the art digital planetarium dome, dance on the energy dance floor, an enormous gulf stream tank to observe marine life swimming above your head, and lushly landscaped outdoor areas.